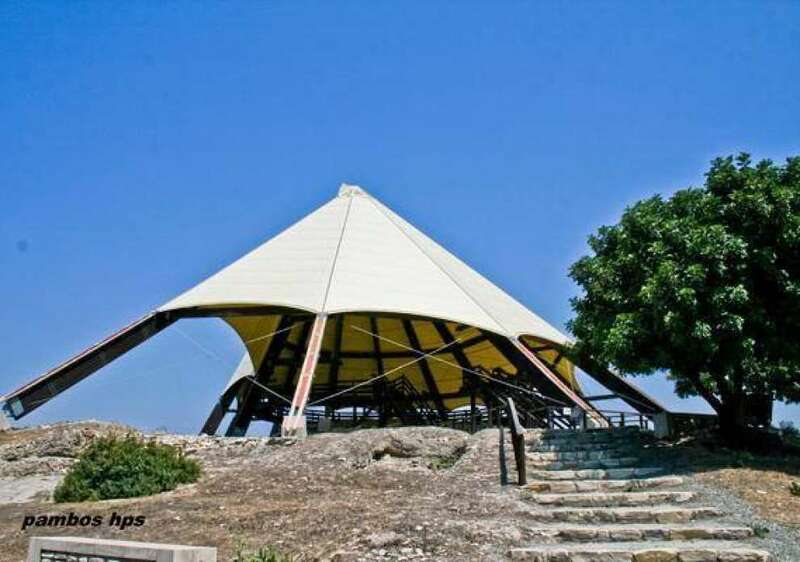 The site of the historical reference of the area is the Archaeological site of Tentas! 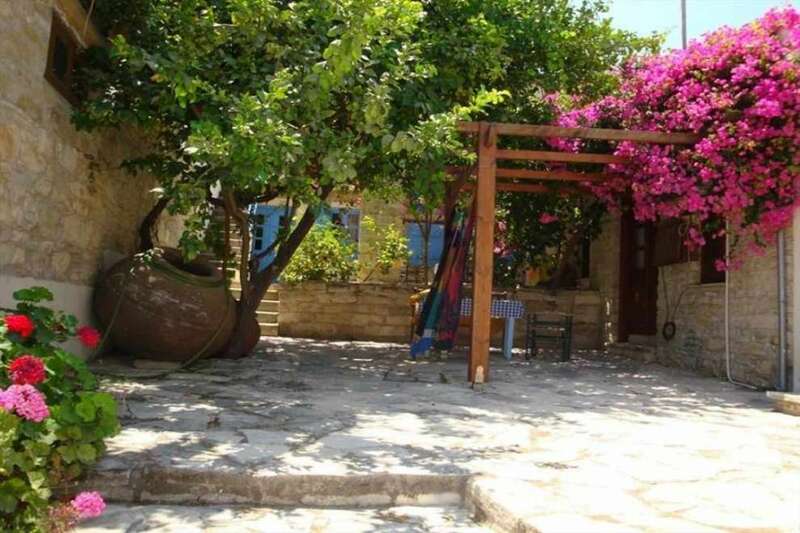 Kalavasos is a village in the Larnaka district, which is approximately 40 km away from the city. Built on the west bank of the Royal River, at an average altitude of 80m. The village of Kalavasos is connected to the northwest with Asgata and to the northeast with Tochni. According to Historical sources, the settlement of Kalavasos existed since the Medieval year. In old maps it is marked as Calavaso and Calavato. The church of the village is dedicated to the Virgin Mary and next to it there is an ancient cemetery. In the village there is also a Turkish Mosque, which for about a century was a place of worship of the minority of the Muslims who lived in Kalavasos. Clearly, this particular area of worship was abandoned in 1967 when the Muslims moved to the neighboring village, Mari. To the north of Kalavasos the chapel of the Panagia of the Lamprougeous building of 1900, is built. A small distance away from this church you will finds the chapel of Archangel Michael. 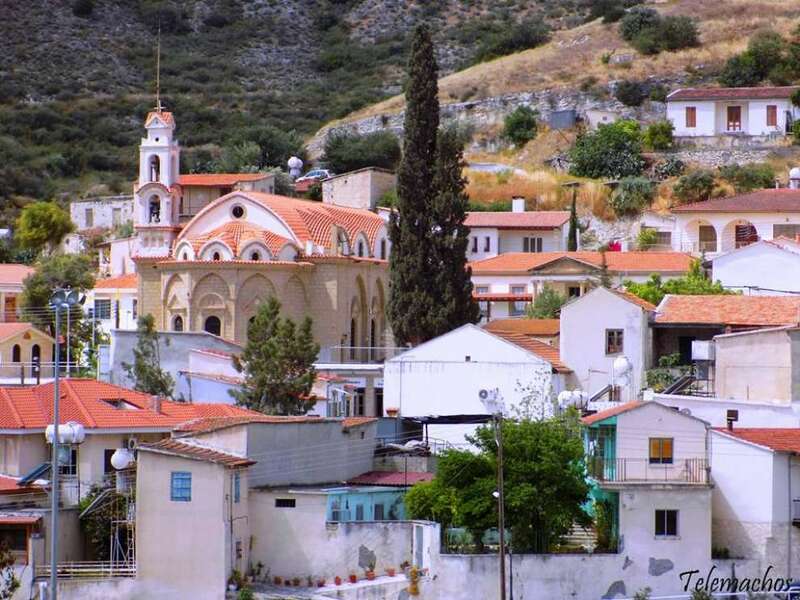 Also in the village there is the chapel of the Zoodochos Pigi building of 1970, the chapel of Agios Nektarios, which according to the inhabitants is built in the same place that was once built the chapel of Agios Kalogiros over a cave. 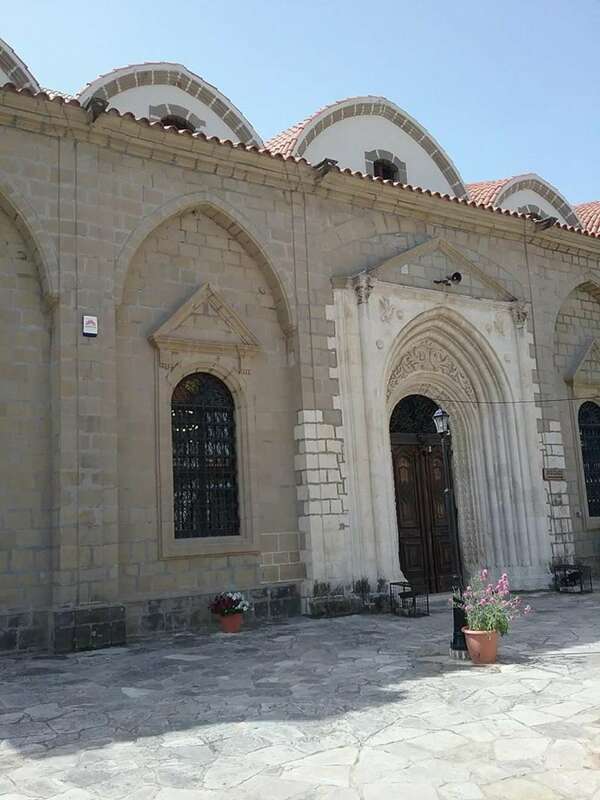 Additionally, in Kalavasos there is the chapel of Agios Georgios Kefala, a building of the 19th century and the church of Virgin Mary of Titiotes, built in 1892. In the area of ​​Kalavasos there were five mines for the mining of copper ore. These mines are known as Platies, Petra, Mavri Sykia, Lantaria and Mauridias and belong to the Hellenic Mining Company (HMM). Also, in Kalavasos, one deserves to visit the Community Park where there is a train that carried the workers to the quarries. Also in the area there is a watermill, a mill and a mill that has recently been restored by the antiquities department. About five kilometres northwest of the village there is a dam of 17,000,000 cubic metres. 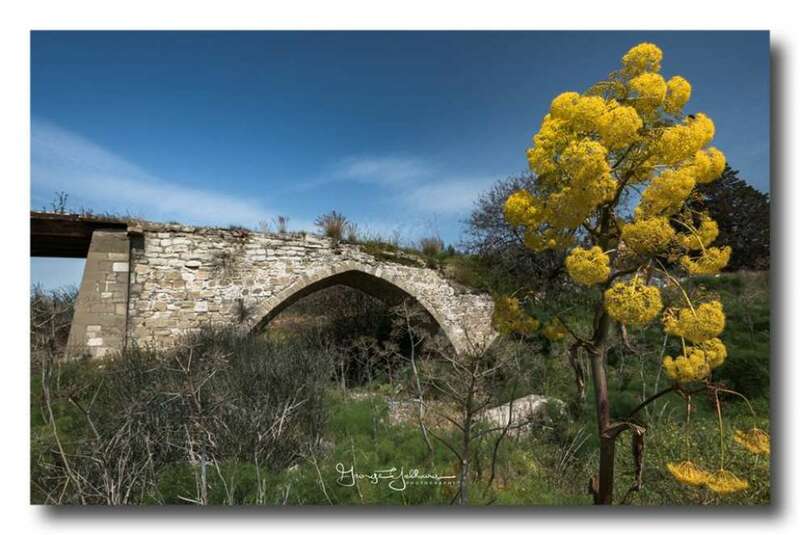 Of course we could not omit a point of historical reference of the area - the Archaeological site of Tentas discovered in 1947 by Porphyrios Law and the most important settlement of the Neolithic period. The excavation of the special scientists and the systematic archaeological survey in the area of ​​Kalavasos have resulted in the discovery of many archaeological sites that are part of almost all the phases of the prehistoric and historical chronological periods in Cyprus. 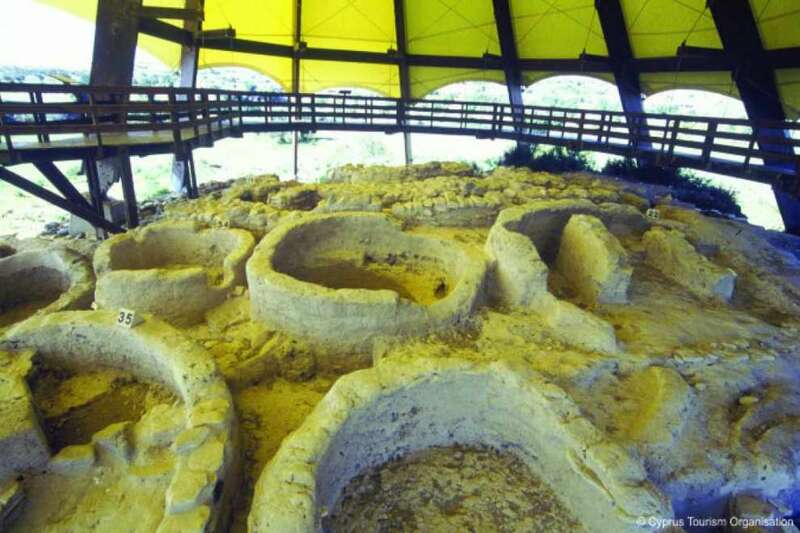 The most important of these sites, according to chronological sequence, is the pre-Neomeric settlement of Tentas (7000-6000 BC), the neolithic settlement of Kalavasos I in Kokkinogia of the Keramic Neolithic II period (4500 - 3800 BC) , the chalcolithic settlements in Agios and Kalavasos II in Pampoules (3500 - 2500 BC), as early and middle Bronze Age cemeteries, in the immediate border area and in the central residential area of ​​Kalavasos (2500 - 1650 BC .) and the settlement and cemetery of the Last Era Copper in Agios Dimitrios. The Population of Kalavasos experienced significant fluctuations. More specifically, in 1881 the inhabitants of the village numbered 667. In 1901 they were reduced to 661. In 1911 the inhabitants grew 738 and in 1921 at 953. In 1931 the inhabitants reached 957 which rose to 1243 in 1946. In 1960 the inhabitants fell to 1126. In 1973 the inhabitants of the community decreased to 752. In 1982 the inhabitants fell to 655 while in 2001 the population of the Kalavasos community numbered 721 inhabitants. Kalavasos mainly cultivates citrus fruits such as oranges, lemons, grapefruit, fruit trees such as pear and vegetables such as potatoes, tomatoes and melon. In addition, cereals, fodder plants, legumes, olives and carobs are cultivated in some areas.